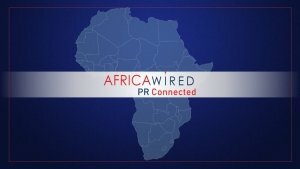 Africawired – a division of Livewired Public Relations – is based in the commercial heart of Africa, Johannesburg and consists of a network of associate public relations companies within the continent. Through Africawired, we deliver fully integrated marketing communications services across industries and borders. International businesses want to expand their offering to the African continent but seek a trusted and knowledgeable partner to ensure the successful development and implementation of their project. Understanding the complexities and nuances of rapidly emerging markets is vital for successful communication and being cognizant of this need for a niche African business offering, Africawired was established. Benin, Botswana, Burundi, Cameroon, Côte d’Ivoire, Congo-Brazzaville, DRC, Ghana, Guinea-Bissau, Guinea-Conakry, Kenya, Namibia, Nigeria, Rwanda, Sudan, South Africa, South Sudan, Sudan, Tanzania, Uganda and Zambia. Through Africawired, we aim to share knowledge and expertise with peers in the industry through our network of affiliated agencies across the continent. 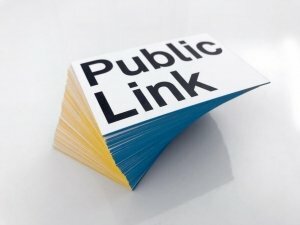 16 years of Public Link is occasion enough to break new ground. Especially when we are always encouraging companies, brands and people to try something new. As an agency we aspire to break down the old, creating new topics, stories and experiences that capture the attention and will be retold. And so we felt the time was right to forge a new connection between our own present and the future by developing a new brand appearance. The outcome is a new corporate design and a new website. A website that is not only intended to provide a showcase for our work, but also to illustrate our thinking, our philosophy and our values. Our new corporate design reflects the self-image of Public Link and takes into account the constant evolution of the Berlin based agency. Starting as a PR agency in 2003, today we combine media relations, digital relations and social media. At the same time, we stay true to our principles. We have always striven to earn the awareness, relevance and interest of people. Whether as brand builder, story teller, content driver, relations manager or simply as sparring partner for our clients. Whether B2B or B2C. Whether international or national. We certainly desire to earn attention. And that is why we always begin with “earned” and never with “paid”. In fact, these are all things that have long since been known. For our clients and GlobalCom PR Network partners in Germany and from abroad our service remains as good as always. We dedicate ourselves to their projects with familiar expertise, commitment and in our very own Public Link way. Vitamix, founded in 1921, manufactures high-performance blending equipment for home and commercial use. In January 2019 the US company launched the new entry-level machine “Explorian” in Germany at a lower price point compared to previous Vitamix products but with the premium quality that the brand has been known for. Public Link won the pitch and developed an integrated launch strategy for the new product including PR, PPC, digital advertisement, social media and influencer activities. We adjusted the core target group to the German market, adapted the existing lifestyle campaign and incorporated our owned, earned and paid strategy within the global approach. In close cooperation with the German sales team and the European Head of Marketing we created a unique tone of voice to ensure a consistent and localized brand experience. After 12 years on the market, Planet PR has broadened its range of competences and transformed into a consulting company specializing in communication consulting, campaign implementation and crisis management. Its new offer, now on an international scale, is addressed mainly to entities from innovative sectors of the economy and those operating in the public and B2B sectors. The basis for strategic planning at Planet Partners is accurate and comprehensive data analysis, the effects of which may be audits, market reports and communication strategies. Media training, campaign implementation and event organization are the most important activities that fall into the communication service. The crisis management specialization includes prevention, rapid response and active crisis management, as well as post-crisis management. The new strategy is the result of a multi-month transformation process, complemented by a revised visual identification and a new website www.planetpartners.pl. “We are aware that customers entrust us with something they value the most – the good name of their company. We are able to offer them experience resulting from 12 years of practice in the industry, cooperation with numerous external partners and the local knowledge of over 1,400 consultants from the GlobalCom PR Network, an international network of communication agencies. Planet Partners has the pleasure of managing the Central and Eastern Europe region for the network. This allows us to be fully aware and responsible partners in business and to have a real impact on its development, by achieving measurable effects “- says Łukasz Wilczyński, CEO of Planet Partners. Planet PR was founded in 2006 and within 12 years of its activity, it has cooperated with 200 clients, carrying out about 195 campaigns and projects for them. Industry awards won include: Golden Paper Clips, Event Awards, Stevie Awards, and GlobalCom PR Awards. Planet Partners boasts broad-ranging experience in the communication of high technologies, including the space and robotic industries. Our GlobalCom PR Network family is extending its wings into the exotic Caribbean. Our newest member Ingenio Capital from Santo Domingo, will now extend the GlobalCom coverage across the Central American area. This new alliance extends the GlobalCom PR Network ecosystem and reach to more than 100 countries worldwide. We want to welcome Marion and her team at Ingenio Capital to the GlobalCom PR Network Family! GlobalCom PR Network announces its newest addition to the family – EloQ Communications, Vietnam. As a rapidly growing market, Vietnam requires reliable and competent local experts that are able to support international clients and their communication challenges in this dynamic environment. We are delighted to welcome Clāra Ly-Le and her team at EloQ Communications on board as we are convinced that they will be a great fit to the family. The steadily grwoing GlobalCom PR Network ecosystem can currently serve about 100 countries worldwide and continues to expand in many regions globally. EloQ Communications will be the primary contact for international business going to Vietnam. EloQ was founded in 2015 as a subsidiary of Thailand-based Vero PR under the name Vero IMC Vietnam led by Clāra Ly-Le, who still heads the agency now. They transitioned to independence under our new name at the start of 2019. We continue to specialize in working with overseas companies doing business in Vietnam, including the diverse clientele you can find on their site. 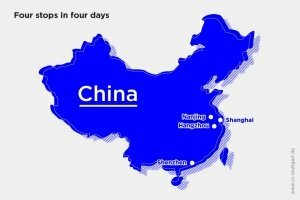 However, EloQ is also looking to expand their connections throughout Asia in order to head more regional campaigns for both Vietnamese and foreign companies. With the choice of their name – pronounced ‘eh-lok’ and short for “eloquent,” which the Oxford English Dictionary defines as “giving a clear, strong message” – EloQ is emphasizing their goal of using superior communication skills and local market literacy to represent clients in a way that is both faithful to their branding and fluent in the local style. We look forward to a fruitful cooperation and wish a warm welcome to the team @EloQ Communications! As part of her doctoral dissertation research, Clāra Ly-Le, director of Ho Chi Minh City-based EloQ Communications, interviewed several public relations experts in Vietnam on the subject of crisis communication. Clāra’s work focuses on social media, but the insights expressed by the experts she found are often applicable regardless of the medium. What follows are some of the most worthwhile pieces of advice she gathered. In 2014, the start-up, Luca, led by the former editor of Afisha magazine, Eugenia Kuyda, became the first Russian start-up participating in one of the most prestigious business incubators of the Silicon Valley – the legendary Y Combinator. Every year, more than 30,000 companies from all over the world send their application to participate, but only 100-200 are selected for the program. YC has a history of providing a spring board for companies like Airbnb, DropBox, Reddit, and many others. Surely, this accelerator invests small amounts of money for the development, but, more importantly, its support of companies serves as an endorsement for investors from around the world.